America’s Jihadi Compounds & Alaska’s “Last Frontier”. Is Anywhere Safe From Islamic Encroachment? REST assured, once the Islamist-in-Chief departs the People’s House, many of his bomblets will explode at future dates. Most rational folks recognize as much. However, another incendiary fire is smoldering. It has received little attention, except at very few media outlets. BE that as it may, this particular (compound) bomb has the potential to dwarf the rest, in so far as its implantation has been ongoing for years, but without any real interference from authorities. In fact, state and federal law enforcement have been ordered: stand down! Know this: its basis was gleaned through a direct (in the know) Fed contact. Enough said. IN a nutshell, whenever law enforcement was queried (more than once from these quarters), as to why they allowed jihadi compounds to mushroom under their noses, the answer went like this: religious freedom! Whoa. IN effect, Islamic jihadists have an American “right” to segregate themselves within war-like compounds, simply because they hide behind Muslim garb. Hmm…an interesting perversion of Constitutional precepts. However, using Constitutional liberties to not only allow the enemy to hide and mask itself but actually be protected and find sanctuary is a very dangerous path. It is a form of civilizational jihad and “lawfare” under the sympathetic guise of political correctness. Americans must not voluntarily drop our shield just to appease a minority, which fails to accept responsibility for the issues within its community. Let me be clear and blunt. The bastards who flew airplanes into the World Trade Center and the Pentagon on 9-11; the traitor who stood atop a table and gunned down American Soldiers at Ft. Hood; these jerks were not heard saying “God Bless America” or singing “Rocky Top” — they were shouting “Allahu Akhbar.” When that stops, we can stop our trend analysis…. IN any case, many Americans aren’t persuaded by such Orwellian constructs, thus, they demand answers: what the hell are Islam’s followers doing within jihadi compounds, and with the (direct and indirect) assistance of many counterparts residing throughout the nation and outside its borders? IN answer to some of the above please digest the following – just as a precursor – to garner the best handle on this burgeoning threat, before heading to the latest updates on jihad within Oregon and Alaska. Mind you, Alaska’s infestation came onto this site’s radar in Sept. 2014. INCONTESTABLY, the attendant dangers are much worse, if you dare imagine. They include “hidden cells” operating in plain sight, but await (hierarchical) orders to strike. This is not hooey and phooey talk. It is America’s dire reality…burrowed in its heartland and in all points in between! SO now that certain backgrounders are, once again, in plain view (with an understanding that this investigative journalist holds back little, unless prudence warrants it), let’s turn our attention to Oregon. Yes, it is a beautiful corner of the Pacific Northwest, and it possesses stunning topography to boot. YET, before we proceed, get a load of the manure shoveled by the defense: Oregon’s jihadi claims to be suffering from schizophrenia and “deserves” a free pass out of jail because he is too sick to withstand a trial! Well, it matters not a tiddly wink, true or not. Not only that, he is supposedly under a doctor’s care and more than lucid. In fact, the only issue which matters is that he plotted Oregon’s jihad with one of the most notorious Islamists in all of Europe, Mustafa Kamel Mustafa! AS such, if his sanity was deemed intact enough to be recruited for this all important act of jihad, whom are we to argue about his alleged (compromised) mental state? 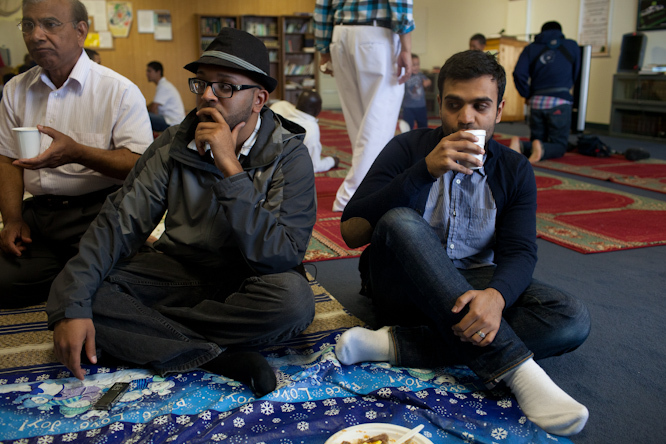 Haroon Aswat admitted he traveled to Bly, Oregon, in 1999 at the direction of Mustafa Kamel Mustafa, a double-amputee and radical cleric based in London. His orders were to help train recruits “who wanted to participate in jihad on behalf of a terrorist organization,” he said in a barely audible voice at the sentencing in federal court in Manhattan. Before pleading guilty to conspiracy and supporting terrorism, the Sheffield, England-born Aswat told U.S. District Judge Katherin Forrest that he had been diagnosed with schizophrenia at 20. The judge ruled that the sentencing could go forward because the defendant was under medical care and showing no symptoms. Aswat, 40, was charged in 2005 in the plot to establish the camp for military training at a site known as Dog Cry Ranch. Prosecutors accused the defendant of arriving in Oregon with instructions on how to make bombs and poisons. Aswat faces up to 20 years in prison at sentencing July 31. It was unclear whether he could get credit for the nearly 10 years he spent behind bars in the United Kingdom fighting extradition to the United States. Prosecutors had no immediate comment Monday. Mustafa was sentenced this year to life in prison following a trial in the same Manhattan courthouse. BUT now that Oregon’s jihad has been partially uncovered (recent info has come down the pike, though it needs further corroboration), let’s segue to Alaska and its wild environs. IN this regard, authorities, as always, will eventually side with Muslim “sensibilities”, even though they have little issue with failing to protect the non-Muslim public from the mushrooming Islamic threat level. Go figure. So take what both claim seriously (Islam’s perpetually aggrieved war-mongers, in concert with officialdom’s lock-step mouthpieces who are, as of yet, stopping short of calling it a “hate crime”) with less than a scoop of poop. Yup, Islam’s propaganda arm, CAIR, will, sooner than later, enter the picture screaming “Islamophobia”. As a result, count on Allah’s hell breaking loose. Mark these words. 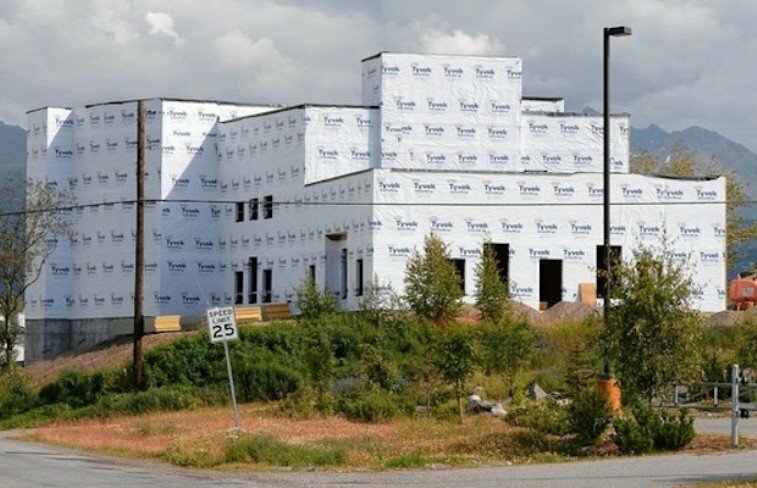 An incident over the weekend alarmed members of an immigrant community in Anchorage. However, officials are stopping short of labeling it a hate crime. Community members in Spenard, where the incident took place, have made efforts in the last day to show support with men living at the residence targeted. But the men feel unsafe after what happened, according to Bock, and some are wondering if the assault on property constitutes a hate crime. The Federal Bureau of Investigation, which monitors hate crimes, has not seen evidence that would involve the organization in the case. “At this time the FBI is not investigating this as a hate crime. We are not a part of the investigation,” said Staci Feger-Pellessier, a communications specialist with the Bureau’s Anchorage division. IN the main, those of us who toil in the jihadi muck (on a regular basis) are less inclined to wax sympathetic over those who come to America from Islamic war-torn countries. And this realistic attitude is based upon enough clear and compelling evidence to understand what’s what. FOR if, in general, said “refugees” hadn’t proven to be Allah-bent on exploiting America’s freedoms, in turn, biting America’s outstretched hands, the issue would be moot. Indeed, some of us know better and cast aside reflexive tear-jerkers. Besides, if one similar grouping comes to mind, let’s recall the SOMALI infestation and attendant threat level. ALASKANS, if you are as spirited as most perceive you to be, trust your pioneering ways. Don’t cave – like the rest of the country – to Islamists or officialdom. PLEASE, take this investigative journalist’s well-informed advice to heart and stand your ground! You have every reason to demand they ‘Go home,’ ‘Take a hike,’ ‘Leave Alaska,’ ‘Go away’”, plus every justification not to welcome them inside your American communities! 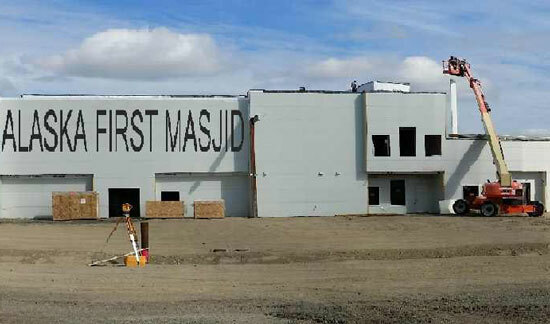 This entry was posted in Uncategorized and tagged “hidden jihadi cells”, Bly/Oregon, Haroon Aswat, http://islamexposed.org/2015/04/03/americas-jihadi-compounds-alaskas-last-frontier-is-anywhere-safe-from-islamic-encroachment/, http://joeforamerica.com/2015/04/americas-jihadi-compounds-alaskas-last-frontier-anywhere-safe-islamic-encroachment/, Hussein Adams, Jamat ul Fuqra, Muslim Advocates, Muslims Of America/Anchorage/Alaska, Mustafa Kamel Mustafa by Adina Kutnicki. Bookmark the permalink. Pingback: Jihad in Alaska. Is anywhere safe from Muslim Pollution? | Conservative Right Wing News. Conservative News for Political Conservatives–Today's Best Rightwing Conservative News Blogs and Conservative News-Truth In Media. Pingback: Israel's Voice | America’s Jihadi Compounds & Alaska’s “Last Frontier”. Is Anywhere Safe From Islamic Encroachment? Pingback: Israel's Voice | Islam’s Invaders NOT Welcome In Wyoming, Patriots Take A Stand. What’s The Game Plan? Lessons Learned. I do not like muslims and don’t want them in America or its territoties. They are savages.